With its timeless silhouette and sophisticated look, the Sophia Stone 3 Piece by United Simmons Upholstery is sure to bring casual elegance to any home. This sectional features simple lines and Charles of London arms with a contemporary twist for a polished and inviting feel. Ten accent pillows in rich blues perfectly accent the stone color of the upholstery. With its timeless silhouette and sophisticated look, the Sophia Stone 3 Piece by United Simmons Upholstery is sure to bring casual elegance to any home. 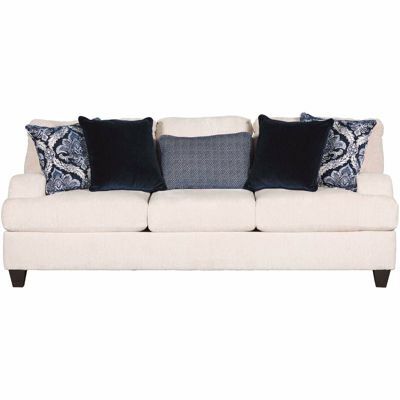 Sophia Stone 3 Piece Sectional from United Simmons Upholstery. 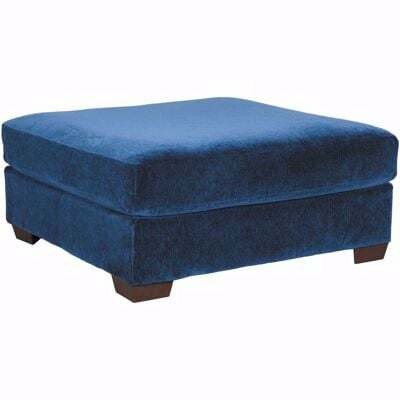 Featuring Simmons Beautyrest pocketed coil seat cushions. 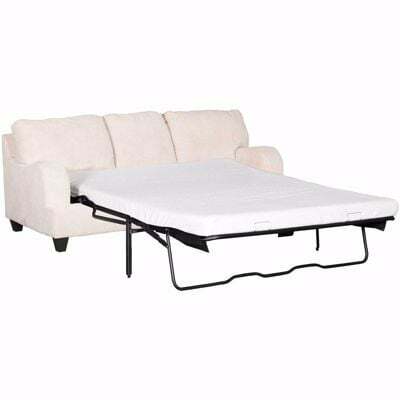 Sectional is covered in a stone-colored, 100% polyester cover. Sofa includes 2 solid, 2 medallion print, and 1 kidney accent pillow, loveseat includes 2 medallion accent pillows & wedge includes 2 solid & 1 accent pillow not sold separately.